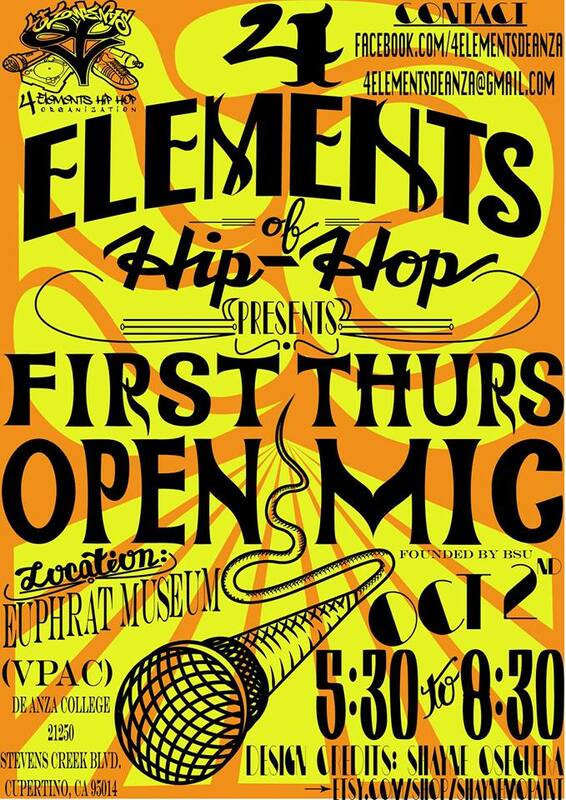 If you are ready for some live entertainment and poetry, spoken word artistry, and a chance to meet new people and see some great performances, join The 4 Elements of Hip Hop at De Anza College for the first “First Thursday” open mic of the year. This Thursday, October 2, from 5:30 to 8:30 at the Euphrat Museum. I hope to see you there!